We have stayed at a couple of hotels in Comitan over the years, but the place we have stayed most often is Los Faroles, meaning The Lanterns. 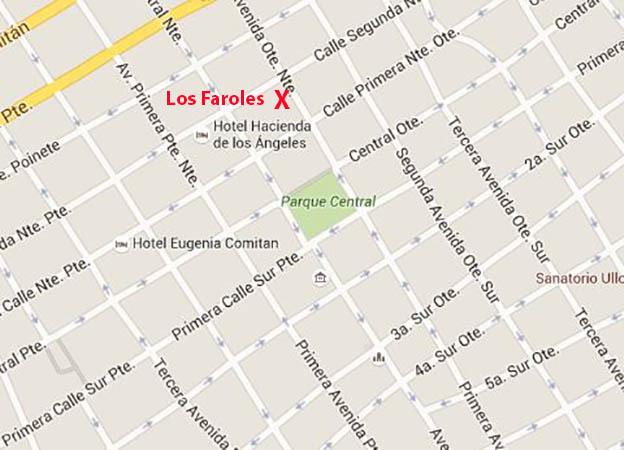 We enjoy Los Faroles' close proximity to the Plaza or Parque Central. Lots of activity goes on at the Plaza day and night. 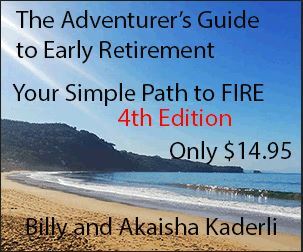 There are restaurants, Cafe/Bars, street vendors, musicians, banks, pharmacies, travel agencies and stores selling all sorts of items. It's never boring at the Plaza. 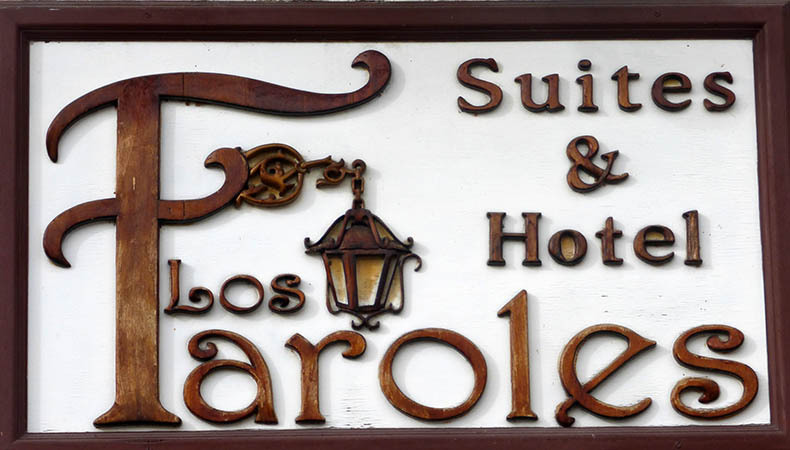 Los Faroles has three suites and about 10 other rooms for rent. 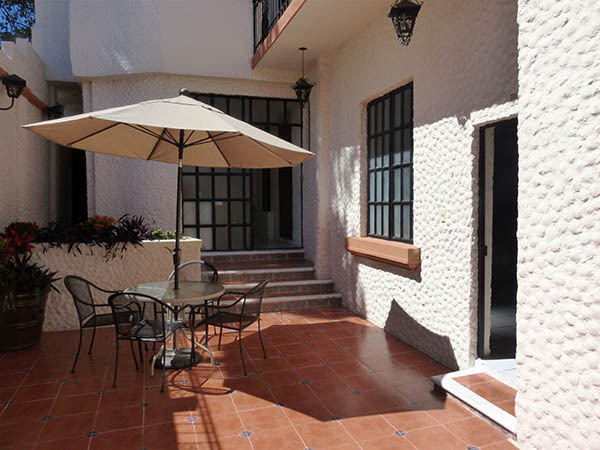 The suites go for 650Pesos a night or about $36USD. 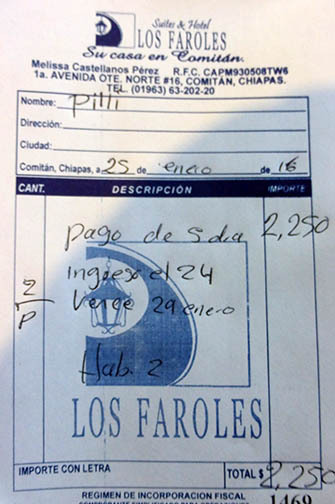 Because we were staying for five nights, we asked for a discount and received the price of 450Pesos nightly, about $25USD. 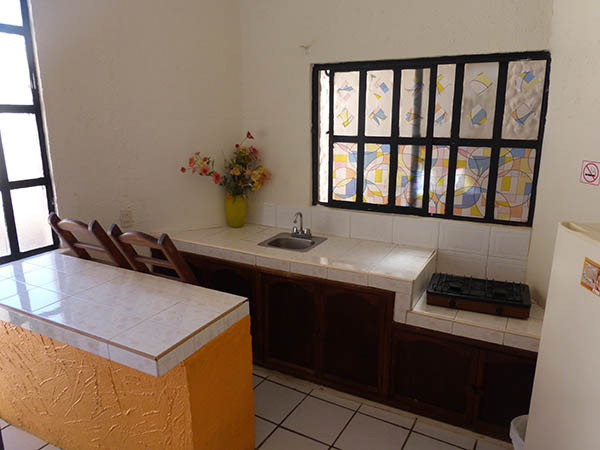 Suites have a sink, stove, refrigerator and eating counter. 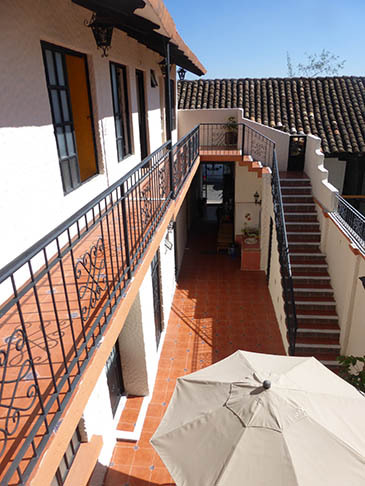 All rooms have WiFi, Cable TV and access to clean drinking water in the courtyard entrance. Maids come in daily to clean. 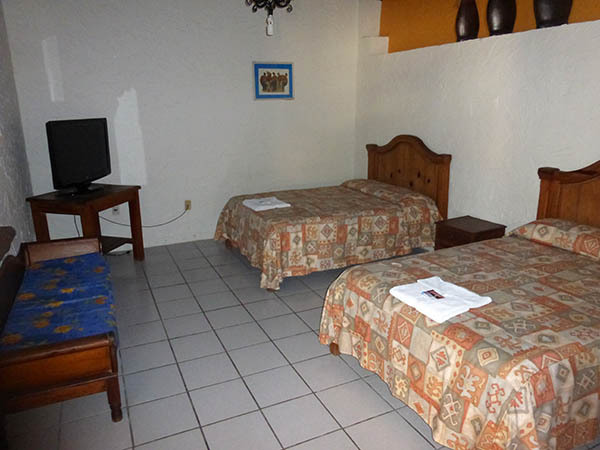 The rooms were clean and spacious and the beds were decently firm. Bath towels were provided as was soap and shampoo. We had trouble with our hot water in the shower and the manager had it fixed. Also, our refrigerator did not work, so Adolfo replaced it immediately. He was very amenable to our needs. The morning sunshine is wonderful and comes into the rooms deliciously. Here you see the tiny courtyard from the 2nd story along with the little path that is the entrance into the hotel. Pure drinking water is in the small pathway in the shade, near the public sink for washing your hands. 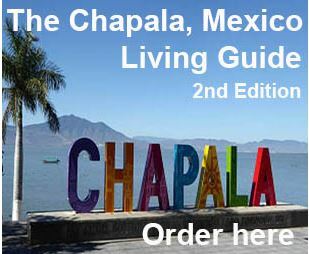 We paid for 5 nights at 450Pesos each night, totally 2,250Pesos. The two rooms in the front section of the hotel, the ones where you can see the windows here in the photos, are lovely rooms and very spacious. Unfortunately, we stayed in one of them for several nights on one visit and we have to say the road noise was terrible. 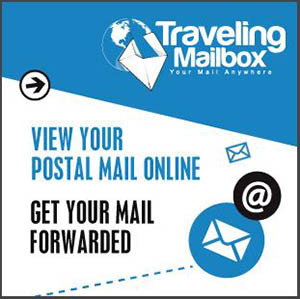 We would recommend one of the suites or one of the rooms upstairs instead. 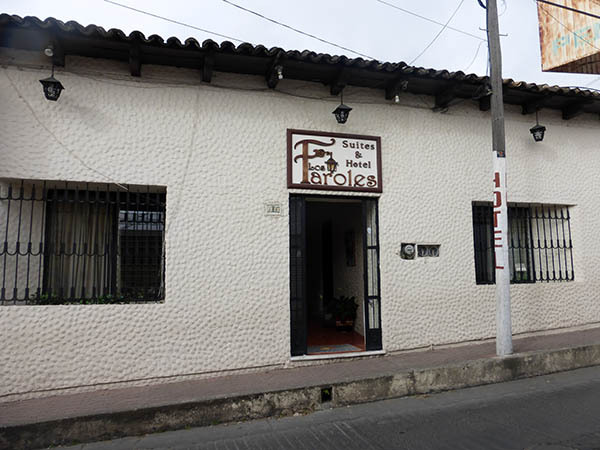 The next time you are in Comitan, take a look at Los Faroles Suites and Hotels.